Spartanburg County’s participation in the two-year national HealthyCommunity50 challenge is concluding. As a community, we have sought to improve health through a focus on physical activity. We celebrate the ways by which local municipalities led in these efforts. When the challenge started, we had a visionary mayor, Michael Meissner of Pacolet, who was already hosting walks in his community, and a goal of engaging four municipalities in hosting Walk with Your Elected Official events. By the end of the two years, mayors, city council, county council and other elected officials hosted walks in nine communities: Boiling Springs, City of Spartanburg, Cowpens, Greer, Inman, Landrum, Lyman, Pacolet, and Woodruff. Furthermore, in year two, co-hosts representing law enforcement, healthcare, education, and faith sectors joined the elected officials. In addition to the quarterly walks, we sought to encourage people to develop healthy habits related to physical activity. Municipalities created teams of employees that competed against each other for the highest number of steps. We were thrilled to have several elected officials join some of these teams. Spartanburg County Councilman David Britt participated on a team in year one and asked if his business could also participate. As a result, year two included teams from local businesses, organizations, and funders also competing against municipality teams. Team captains coordinated early morning walks before the workday started; individuals encouraged by the challenge and their teams experienced life change. Lastly, four municipalities participated in SC Hospital Association’s Working Well (WW) program. WW supports employers in creating healthier work environments through a focus on policy, systems, and environmental change. WW addresses nine dimensions of wellbeing, including physical activity, and municipalities were challenged to reach the highest level, Platinum, in this domain. We congratulate Spartanburg County for attaining this highest standard! Over the two years, we saw commitment and resolve by our elected officials to support the health of their employees and our community. “The HC50 Challenge was a great opportunity for Spartanburg County to come together as one team promoting a common goal of a healthy community. The side benefit was it got all of us moving in one direction of individual health, which benefited not only ourselves, our families, our county but also the whole community at large. [These challenges] sparked my competitive drive and we had several teams at Tindall that loved it as well. 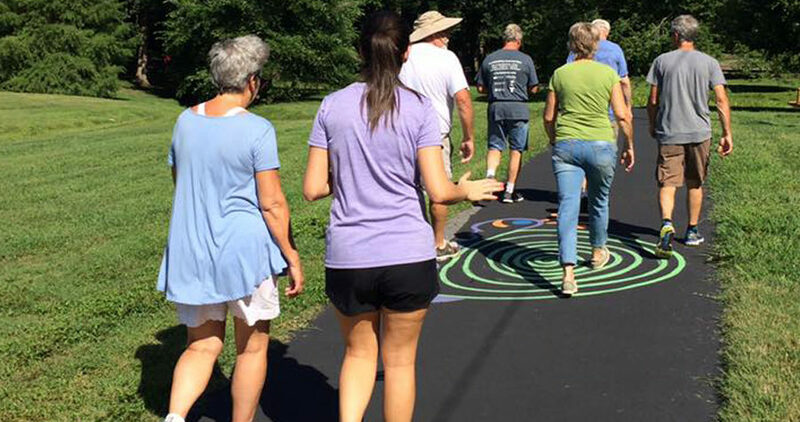 We need to do this across Spartanburg County and let’s get everybody moving for their health,” commented Councilman Britt. Together we have made strides toward a healthier Spartanburg. We look forward to continuing to see our community active and promoting greater health.